My players. I’ve been so blessed to have athletes who got me, who put up with me, and who loved me even though I made it really hard. It’s an honor to get to coach them every day. Without them, I wouldn’t be here. My parents. Vincent and Roseanne. My mom ran the ballpark concession stands, drove us to games and practice, and served on every board. My dad coached our teams and spent his time talking “ball” with us. They both spent their vacation time and spare time and every dime they had on making sure we had opportunities to compete. They were part of a group of parents who helped orchestrate the beginning of organized girls sports in our middle school in Vestavia. My brother and sister. Vann is one of the most innovative teachers in the game of softball. She has experienced the best and worst that high level athletics has to offer and she’s a bright and shining light of enthusiasm every day. She‘s tough and strong and she can coach. Stu is a high school basketball coach. His passion and loyalty are his biggest assets. He’s a hard worker and he sacrificed in ways most men won’t so that he could be a head coach and run his own program. Fran Braasch. Because my parents fought for girls to have organized sports at middle school, I got my very first school coach in Fran. The first time I saw Fran and heard her speak, I knew what I wanted to be when I grew up. She was passionate, competitive, and tough. At that time, it wasn’t all that “ladylike” to want to be competitive. Fran wanted to win every game and she made me feel okay because I wanted to compete in everything. Tina Deese. My college coach at Huntingdon College. The hardest woman I’ve ever known. She taught me discipline, the importance of fundamentals, mental toughness, and the value of communicating with your team. She got every ounce out of me. Jim Harris. My first AD at UAH. I overlooked so many of his strengths while I worked for him. He was positive, firm, and strong. There was no doubt about his motivations. He made it very clear what he expected and how things should be done. I regret that I didn’t see that value while he was living. I miss him daily. Julie Woltjen. Associate AD for Compliance at UAH. She hired me at UAH. She believed in me. Sheila Ray. Former SWA at UAH. The hardest working woman I’ve ever known. There was no job too small for Sheila. She served our coaches and students with a servant’s heart. And when she needed to step up and speak up as a leader, she did it. Lennie Acuff. A great friend with the heart of an angel. What he has meant to UAH and to our athletic department is not measurable. He does everything the right way. He has been a constant source of support for me in coaching and in my personal life. Bob Altenkirch. The hardest working president in academia – in the country. There is not one person on our campus or on any campus who can match his work ethic. His vision for UAH and his delivery of that vision has been so refreshing and just awesome. He supports our athletic department in word, presence, and deed. He inspires me to work harder and be better. Les Stuedeman seemed destined to become a coach almost from the day she was born on the last day of March in 1969. Her father, Vince, was once a student assistant in football for Paul “Bear" Bryant at Alabama. Her younger sister, Vann Stuedeman, is in her seventh season as head softball coach at Mississippi State after 11 years as assistant softball coach at Alabama. 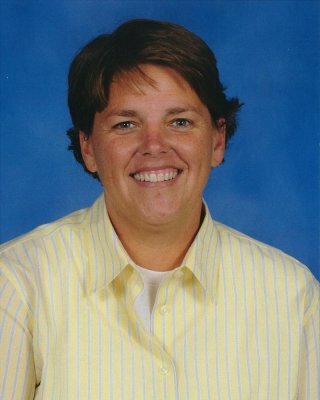 Her kid brother, Stu Stuedeman, who once played basketball for Lennie Acuff at UAH, is in his first year as head basketball coach at Grissom High School in Huntsville. (Coincidentally, Stu shares a birth date – Sept. 11 – with his sister Vann and also with both Coach Bryant and former Vestavia Hills baseball coach Sammy Dunn.) “My sisters are my heroes and my mentors," Stu once told The Birmingham News. “If they’d been garbage collectors, I’d have been a garbage man. If they’d been doctors, I probably would’ve been a janitor at the hospitals where they worked. When I first saw (Les) coach her fi st softball game, I knew I wanted to be a coach." Les Stuedeman is clearly deserving of such unabashed hero worship. She’s widely known as one of the finest collegiate softball coaches in the country. She has won more than 1,000 games in two decades at UAH. She has never had a losing season. Her teams have won 12 conference championships and played in the NCAA Division II Tournament nearly every year, and there’s no end in sight. What’s not to love?